Are you looking for someone to repair your home in Andover, help you with an installation, or work on your remodeling project? At Rowell’s Services, we have plumbers, HVAC technicians, and electricians who love their work and love being part of the community in Andover. Just give us a call and we will get to you quickly, assess your needs, and get to work. We are here for you, whether your project is big or small. We even offer emergency services in Andover, because we know that you don’t always have problems with your home when it’s convenient. There’s always someone standing by, ready to help you out. Whether it’s at night, over the weekend, or on a holiday, we’ll send someone to you as soon as possible to help you out. In fact, we take pride in being one of the 24/7 service companies in Andover. Winter is coming to New Hampshire, and we want you to be ready. 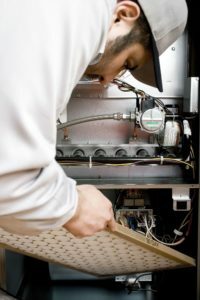 Whether you need a new heater or maintenance/repairs on the one you already have, call us soon. We’ll do our best to get out to you before any more snow flies, so you can rest assured that you’ll be warm all winter long. If it turns out that you need a new furnace, we’ll help you get the best. We’ll talk you through your options, including the size of the furnace that might work best in your home as well as any energy efficiency options that might work for you. Then, we’ll help you order and install the perfect unit for you and your family. We always install according to the manufacturer’s specifications, so you don’t have to worry about anything going wrong with your furnace. If you noticed problems with your air conditioner last summer, it may not be too late for us to take a look and help you out. Just give us a call and we’ll send in an expert. We’ll make sure that you don’t spend your winter worrying about whether or not your A/C will turn on next summer! If you need a new one, we’ll help set that to rights, too. Sewer problems can be a homeowner’s worst nightmare. The minute you notice a problem, give us a call about it. 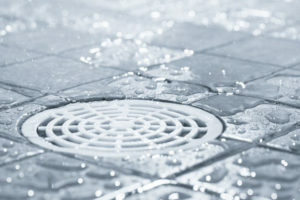 We will get to you fast, stop any damage that is currently happening, and help you get your sewer cleaned out so nothing bad happens again in the future. We’ll do as much of your sewer repair in Andover as possible via trenchless sewer repair technology. This allows us to access your sewer line from inside your home, rather than digging into your yard. Sometimes the digging can’t be helped, but we will always talk you through your options, give you our honest opinion about what is best, then let you choose how to move forward. Sometimes, drain cleaning is a lot simpler than a sewer repair. If the clog is local to your drain or in the pipes between your drain and your sewer, we’ll help you find it, then clean it out or replace the problem area. The easiest way to figure out what you need is to let one of our plumbers take a look. We’ll tell you as soon as we determine where your clog is, and then we’ll let you know how we plan to fix it. Once you approve the repair, we’ll get right on it! Some people in Andover, especially those who live on the outskirts of town, are on septic tanks rather than the sewer system. These tanks have their own set of quirks and problems, and our plumbers know them inside and out (literally, since we also install them!). Whenever you suspect a septic problem, let us know. We offer comprehensive septic tank pumping services. This can clean your tank out, so you can continue to use it, and it can also help us solve several of the things that can go wrong with these tanks. If your tank needs pumping, we will let you know and get it done fast so you can use the system again. We can also help you schedule future pumpings so you don’t risk any problems. Call us to schedule your plumbing, heating, air conditioning, or electrical appointment today! We would love to have a chance to show you exactly why we have so many happy customers in Andover, NH.